Mr. Lapidus also has wide philanthropic interests. He has held a long and deep interest in the early expansion of liberties for all Americans. He purchased the first title of his extensive book and pamphlet collection, Thomas Paine’s “Rights of Man,” in the summer after graduating from Princeton. He is past and present Chair of several institutions including the American Antiquarian Society, American Jewish Historical Society, and United Neighborhood Houses. In addition, he and his wife have established significant fellowship programs in the American Revolutionary Era, opposition to slavery and the slave trade, and American Jewish Studies. Sid’s wife, Ruth, was born in Manhattan, graduated from Bronx High School of Science and Hunter College, and has a master’s degree in Public Health Administration from Pace University. She is also a certified medical records administrator. She is a board member emeritus of Planned Parenthood Hudson Peconic and on the governing board of the American Jewish Committee (AJC). 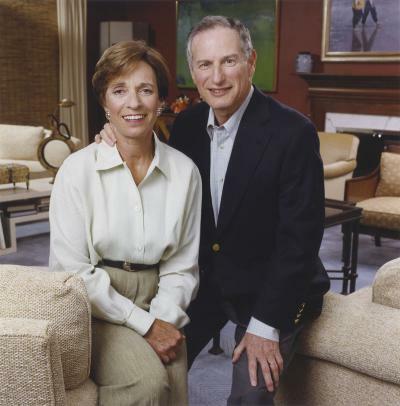 Sid and Ruth Lapidus have made numerous gifts to NYU Langone, including a $2 million gift for the Emergency Department renovation in 2013. In 2014, they made a large endowment gift to the Health Sciences Library. Mr. Lapidus has also generously donated several volumes from his collection to the archives related to the yellow fever epidemic in the 1790s. In 2016, the NYU Health Sciences Library’s newly renovated flagship space was named the Sid and Ruth Lapidus Health Sciences Library.